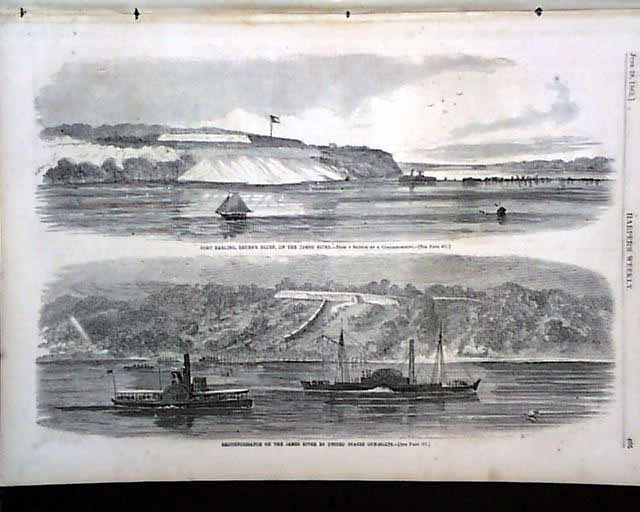 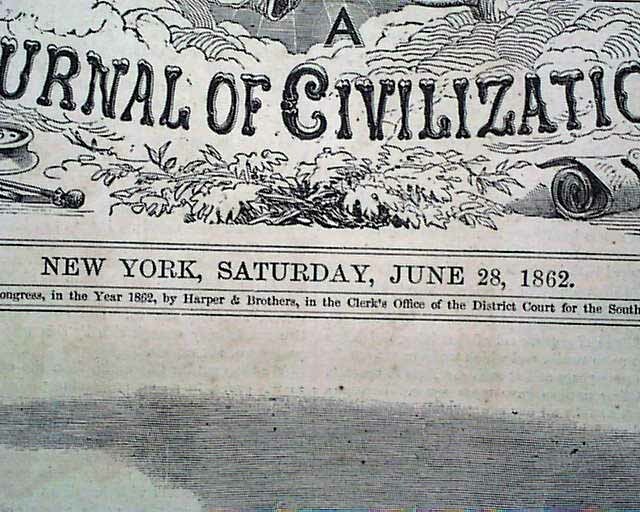 HARPER'S WEEKLY, New York, June 28, 1862 Two front page illustrations: "Closing Scene of the Naval Engagement Before Memphis, Tennessee" and "Colonel Ellet's Ram Approaching the City of Memphis, Tennessee, to Demand its Surrender." 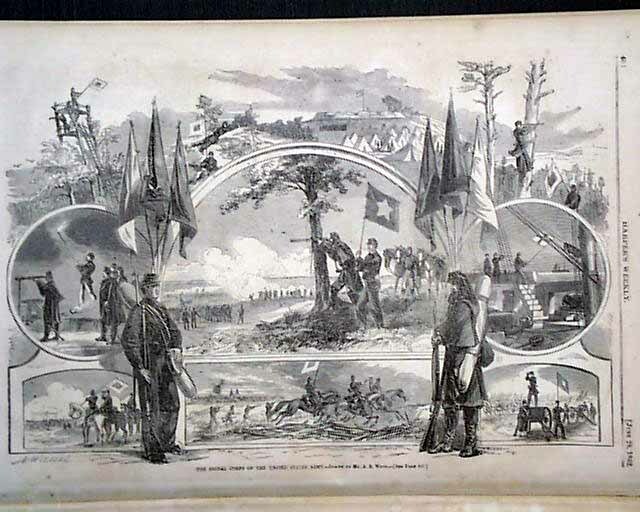 Other prints inside include: "Scene of the Battle of Front Royal Between the First Maryland Regiment and the Rebel Army" "Front Royal, Virginia, Looking South." 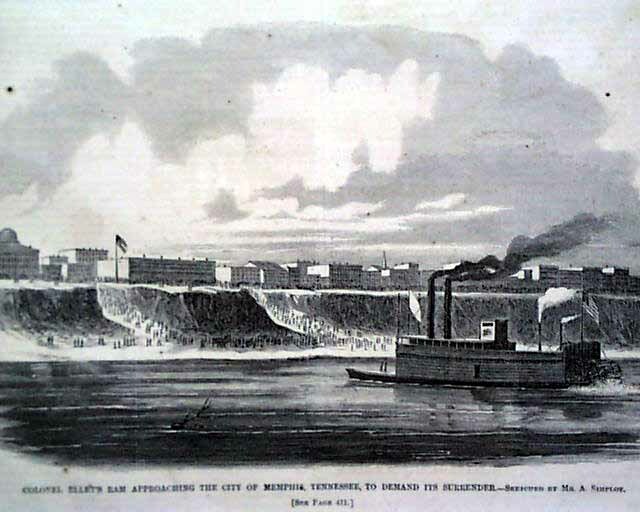 "Brigadier General Edwin V. Sumner, U.S.A." "Brigadier General Samuel F. Heintzelman, U.S.A." "Fort Darling, Frury's Bluff, on the James River" "Reconnaissance on the James River by United States Gun Boats"; a full page with six illustrations of: "The Signal Corps of the United States Army. 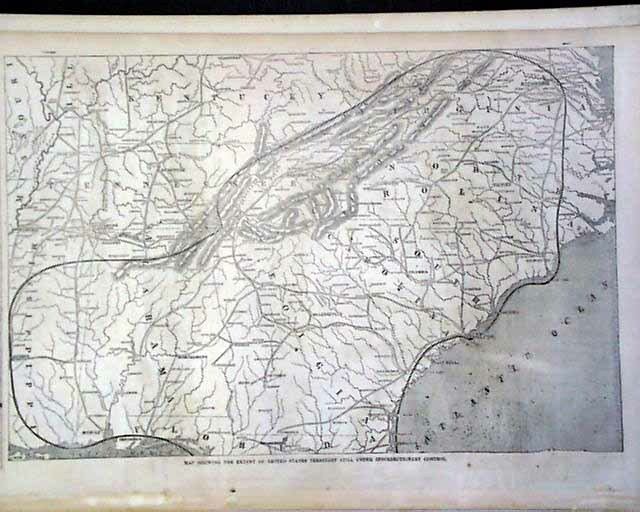 "; a full page: "Map Showing the Extent of United States Territory Still Under Insurrectionary Control." 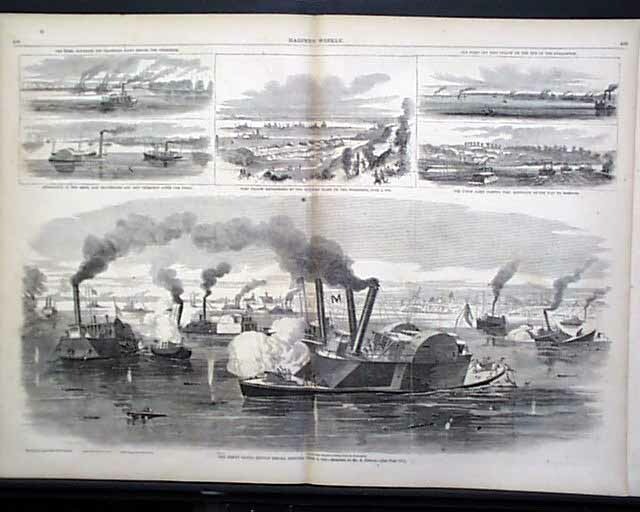 The doublepage centerfold has five small and one large illustration captioned: "The Great Naval Battle Before Memphis, June 6, 1862." 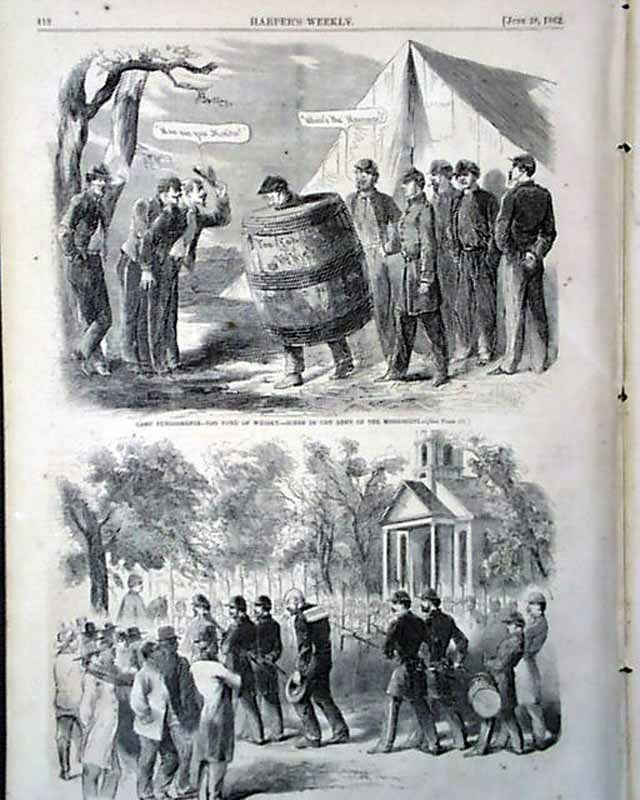 Other prints include: "Camp Punishments--Too Fond of Whisky.-Scene in the Army of The Mississippi" "Camp Punishments--Drumming a Coward out of the Ranks..." and: "The Battle of Tranter's Creek, Near Washington, North Carolina, on June 5, 1862." 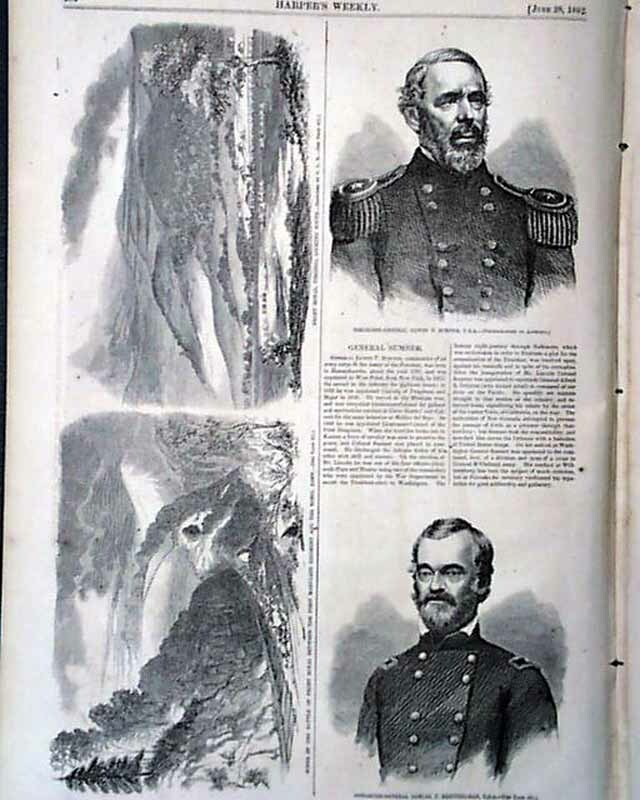 The back page has two political cartoons: "What Will Become of the Rebel Leaders?" 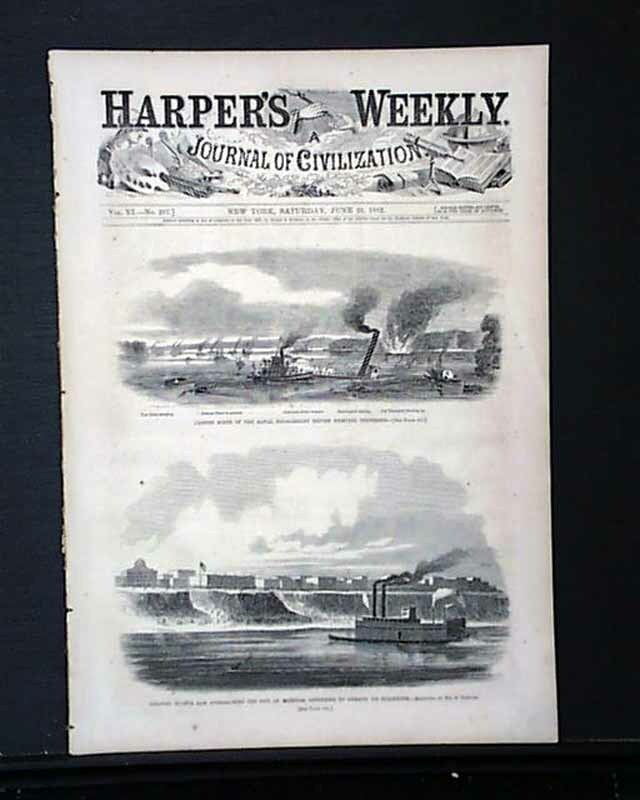 & "Scene in Memphis, Tenn." Complete in 16 pages.